Tranceology has reached 2013 and the label group and the electronic dance industry as a whole, are fully embracing the digital download era as well as starting to see the affects of streaming services. A big year for Manuel Le Saux as he launched his Extrema Global Music label through Recoverworld together with his superb debut artist album, First Light and Oberon who took over the reins at Discover Dark. This latest edition includes some of the highlights from the year including tracks from both of these artists together with biggies from John Askew, Thomas Datt, Chris Hampshire, Peter Plaznik, Aizen and many more. For any lover of quality music, this incredibly cool series is a must! 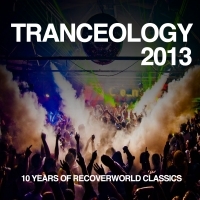 Tranceology - music for a trance generation!